There are prevalent car rental companies, which provide luxurious cars in India. The consultancy of car rental provides enough information and basic guidance to the travelers about the mesmerizing places of India. On hiring a car in India you can get many exploring trips. The most exciting exploring trip that the tourist can enjoy is during his trip to Rajasthan. OM Travel is the best taxi agency which is highly engaged in providing Car Rental & Taxi Services in Udaipur. 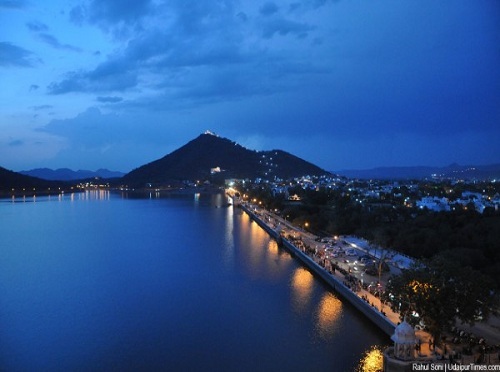 We provide our customers an ideal Taxi Services in Udaipur. If you are searching for exploring more places nearby Udaipur in Rajasthan, so look no further than “OM Travel Online”. We take pride in presenting the safest and most affordable option for public transport. OM Travel Online Taxi Service in Udaipur is the best way to explore the city with your family. Your adventure doesn’t need to begin and end in a similar place! We’ll find you a great price on Car Rental Service in Udaipur and before you commit yourself to anything, we’ll provide details of any rental services that the car hire company charges. When you know the facts, you’re free to plan the trip you really want. Save up to 50% on your renting a taxi trip. Our rates are very economical for Tour packages and for sightseeing of the city. 3 years of OM Travel Online. Clear pricing, Expert Team to take care of you, secure website-SSL Certified. A car rental can be convenient and enjoyable. The visitors can save a considerable time by Udaipur Taxi Services in advance instead of waiting and finding a travel option. Udaipur is also known as the City of Lakes, is the second most frequently visited tourist sight, in the North Indian State of Rajasthan. There are many beautiful & sightseeing places to explore in Udaipur by hiring the taxi’s or cabs from Udaipur taxi with exciting offers. We offer amazing deals for our travelers. “OM Travel Online” also provides the best cabs for one day tour packages at affordable price. So, book Car rental today from “OM Travel Online” and get exciting offers & deals on booking a taxi. Om Travel Online is the leading car rental company in Udaipur with the perfect fit for you.We offering 24 X 7 customers supports Taxi Services in Udaipur, The listing has been done on the bases of service provider experience, which includes their services, facilities and geographical availability.Look at our selection of quality vehicles below to see which best fits your travelling personality.